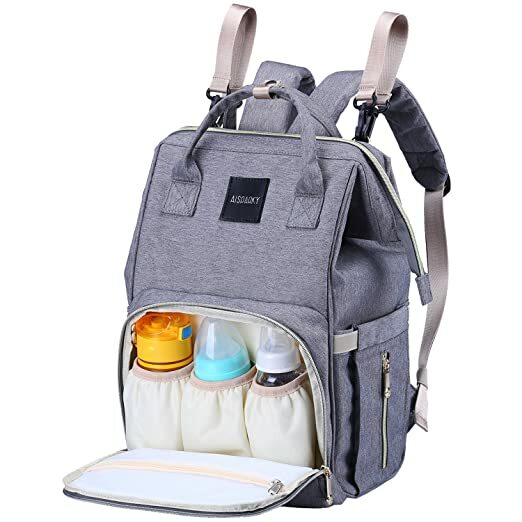 Amazon 现在这种最新 release 的多功能尿布包 Multi-Function Waterproof Travel Backpack Diaper Bag 现在 for just $17.16 (regularly $56.50) – available in black or grey! This diaper bag is made with high quality durable oxford fabric that is water resistant and easy to wipe clean. It has a large main compartment and separate storage pockets for milk bottles, water bottles, clothes, diapers, towels, etc.